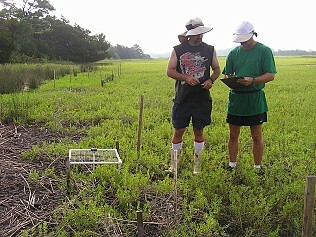 The goal of GCE outreach is to enhance scientific understanding of Georgia coastal ecosystems by the public, coastal managers, and scientists. To this end, we run a schoolyard program, support the Georgia Coastal Research Council (GCRC), train undergraduate and graduate students, and interact with scientists inside and outside the LTER network. These components of our outreach program are described below.